Another must stop coffee house. The espresso was exceptional, as expected for the various write-ups. The Barista is king here and ensures each espresso is served as the guest prefers it. Espresso – or better known as Caffé – is served corto, strong and very italian. In addition to the standard Cappuccino or Americano, they also have an interesting list of coffees for their guests who are a mix or locals and tourists. Coffee Granita in any of the cafès in Rome is worth a try. Again, not a specialty coffee café if that is what you are looking for. 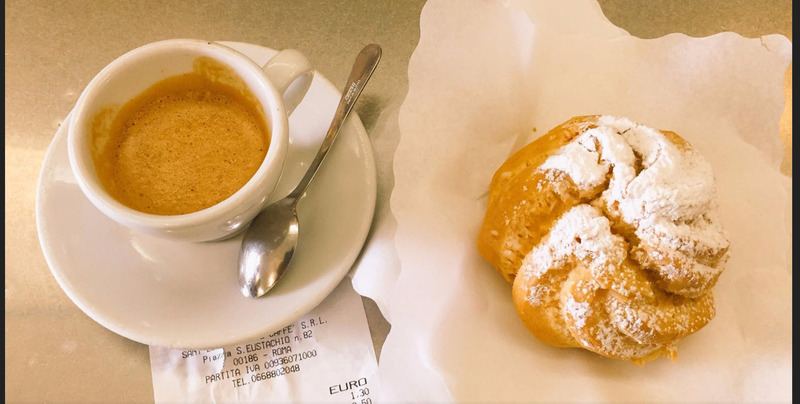 Here it is all about Italian coffee – you are in bella Roma! Enjoy!